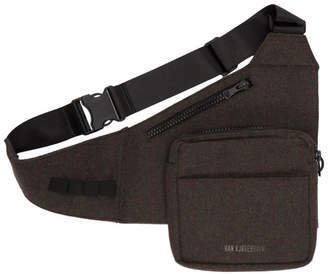 Nylon canvas messenger bag in black. 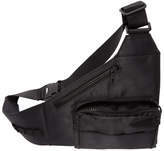 Adjustable shoulder strap featuring press-release fastening. 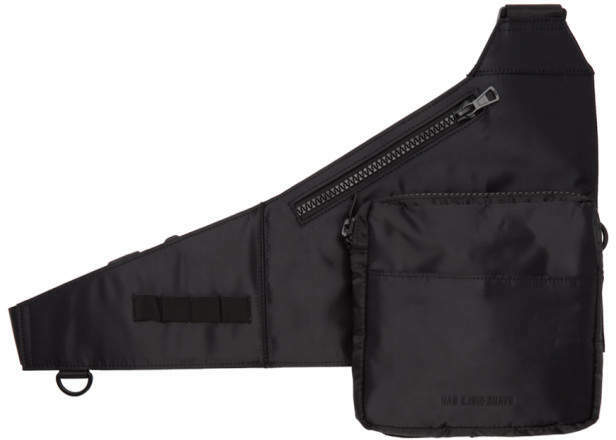 Bonded logo, zippered pock, zippered compartment, patch pocket, D-ring hardware, and elasticized pen slots at face. Tonal textile lining. Tonal hardware. Tonal stitching. Approx. 20.5 length x 14.5 height x 2 width.